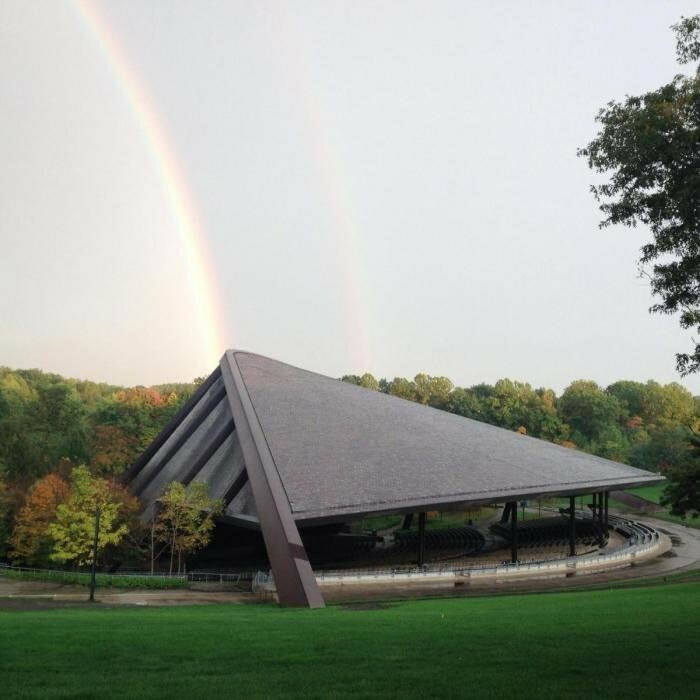 ﻿ Blossom Music Center - Ohio. Find It Here. Blossom Music Center has provided an inviting and gracious summer home for The Cleveland Orchestra since it opened in 1968. Located just north of Akron, Ohio, and about 25 miles south of Cleveland, Blossom lies within the city limits of Cuyahoga Falls, an Ohio community first settled in the early 1800s. Blossom is situated on 200 acres of rolling hills surrounded by the Cuyahoga Valley National Park. Its beautiful outdoor setting is an integral part of the Blossom experience.